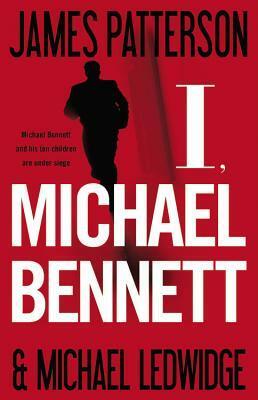 As critics and readers have slammed most of James Patterson's recent novels, his Michael Bennett series, co-written with Michael Ledwidge, has maintained a level of quality and entertainment that reminds us why he is one of the bestselling authors of all time. Michael Bennett, a single father of 10, is used to being busy. Ever since he lost his wife to cancer, he has struggled to maintain both his family life and his job of solving high profile crimes for the New York City Police Department. Thankfully, Bennett has the faithful assistance of his priest grandfather, Seamus, and irish nanny, Mary Catherine. As the Bennett clan prepares for a lengthy summer vacation, Michael is called in to assist his friend in taking down a Mexican drug runner who has entered NYC. The bust has mixed results. While Bennett manages to capture the leader, two officers, including his friend, are killed in the process. Even worse, the drug leader continues to wreak havoc from inside the jail. During an interrogation, Bennett refuses to assist the drug leader, despite a proposed $2.5 million bribe. The leader takes this personally and vows to do everything in his power to destroy Bennett and those close to him. This novel left me with mixed feelings, mainly due to the complete lack of resolution. Patterson makes no attempt at bringing the story to a close, causing the novel to feel very unfinished. I'm sure the next novel in the series will pick up where this one leaves off, but the lack of even the smallest amount of closure leaves the entire novel completely disjointed. Michael Bennett is easy to care for and is arguably Patterson's strongest character to date. This story focusses less on character development than the previous installments, but having read all of the other novels, I already understood the emotions stakes that the situations held. As far as action is concerned, Patterson expertly walks the line between reality and unbelievable, providing genuine suspense. Overall, I would recommend reading some of the others in this series before picking up this one. Fans of the early Alex Cross novels and vintage Patterson thrillers should enjoy this one as well. This entry was posted on Saturday, August 11, 2012 and is filed under Book Review,Conspiracy,Drugs,Family,I,James Patterson,Little Brown,Michael Bennett,Michael Ledwidge,Murder,Series. You can follow any responses to this entry through the RSS 2.0. You can leave a response. I can't abide a book without closure. Even if it's part of a series, you have to give the reader a sense that something is finished, even if it's open-ended. I agree! I'm really bothered that the story just stops. That being said, I'm a sucker for Patterson novels, so I'll probably read the next one as soon as it comes out.